I just have to get this out: This series has a rather contraversial twist thrown at the reader in book 1. Here, in book 3 that twist is rectified. But the question reamains, and I will ask this is the least spoilery way I can, why was this done at all? Was Cassandra Clare trying to make some sort of point and if so what was it? Was forbidden love is all of it’s previous forms too played out to be interesting? I cannot fathom what went through the author’s head while creating this odd plot contrivance (nor can I imagine how this will be portrayed in the film version that the author insists is in the works) but it’s rectification is for the best. This is the longest of the Mortal Instuments books and in my opinion the best so far. It’s well paced, and well plotted. Besdies what’s mentioned above, every character shows growth and makes positive changes. 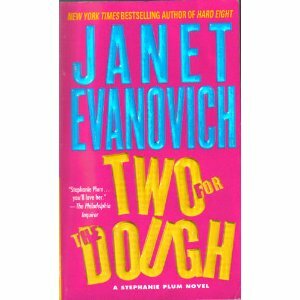 I read 3 or so of the Janet Evanovich books before I realized that they were essentially the same book over and over again. I mildly enjoyed the books, but didn’t care to continue the series. Oddly enough, I just finished the first Moral Instruments book this morning. I liked it and am will definitely read the next one, but that twist was sticky. I’m not at all surprised to hear that it’s eventually reversed, after all I’ve watched plenty of soap operas with that exact plot line. I’m guessing the point was to give a legitimate reason for the protagonists to be kept apart. As to the Stephanie Plum series, yeah I get that. I’m continuing because I do like the character but I’m afraid that unless the status quo does something I’m going to get super bored and not make it to book 18. I have started book 3 now and I’m not enthralled. Mortal Instruments is an interesting idea that has an interesting climax. You have a point about the twist but it really does nothing to keep the protagonists apart. If anything it draws them together in a very creepy way. In fairness the other characters do point this out a few times. To say that it gets reversed is less a spoiler and more a statement of obvious fact. I knew it’d be reversed at some point. I do like how they reversed it, it was at least interesting. I’m reading book 4 now and I like how they’re continuing the story, but the character of Simon is still my favorite. The two protagonists I find deeply boring.